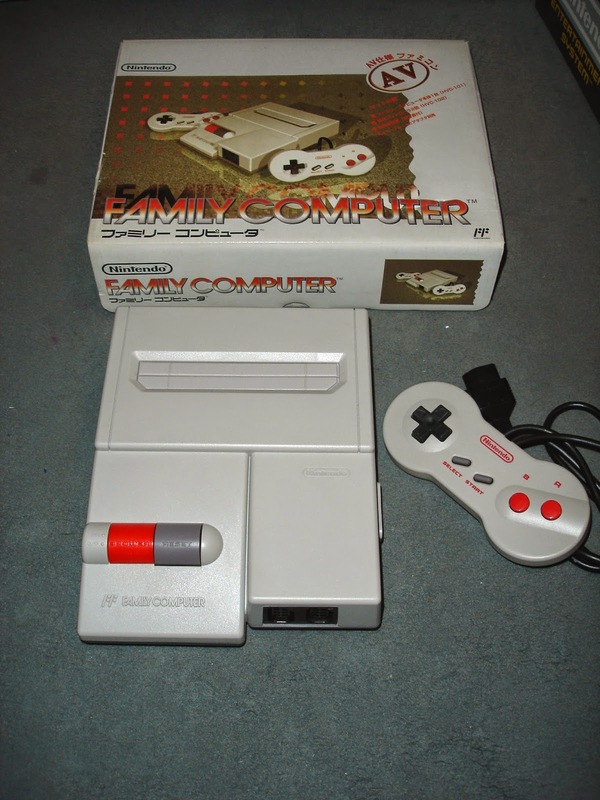 One of my first blog posts was about the Famicom AV, the final iteration of the 8-bit NES hardware. Released in late 1993, it was modeled after the NES Top Loader. Unlike the Top Loader, or the original Famicom which it replaced, it boasts the best composite video quality of any of the NES consoles. It completely lacks the video jailbars that are notorious on the Top Loader, quite visible on the Famicom and still can be seen in a small way even on the NES Front Loader. If you get a Famicom AV in the box, it comes with the console, two restyled "dogbone" controllers and the manual. It did not come with a power supply because it was intended to replace the buyer's existing Famicom. The buyer was expected to use his original power supply. The NES power adapter will not work because it outputs AC and is converted to DC in the console. It should never, ever be inserted. The SNES power adapter would work, but the connector is very different. The proper Famicom or Famicom AV power supply adapter is rated for 10v DC, 850mA, center tip negative. Fortunately, the most convenient solution in the United States and Europe came, ironically, from arch-rival Sega. The power supply adapter for the Sega Master System and Sega Genesis/Mega Drive Model 1 fits in the Famicom AV's power socket and has the correct specs. These power supplies, or third-party adapters, are common enough to find. Radio Shack should have a suitable power supply adapter, and you should use an M Adaptaplug with it on the Famicom AV. The cables on the included dogbone controllers are only 3' long. This made some sense for a Japanese household where space is at a premium, but a US household has much more square footage. NES controllers are 6' long. One solution is to use NES extension cables, which are much easier to find today than they were 10 years ago. Another solution is to use the NES Satellite or Four-Score, which can act as an extension. The NES Satellite or Four-Score will NOT allow you to play as player three or four in Famicom games, they only work with NES games. You can play NES 4-player games on the Famicom AV with a suitable pin adapter. While the Famicom AV's controller sockets look identical to the NES's sockets, there is a difference between them. The NES connects +5v, Ground, Clock, Latch/Output, D0, D3 & D4 on both ports. The Famicom AV's ports leave out D3 and D4. The standard controller only uses D0. The Zapper (including workalikes like the Konami Laser Scope), Power Pad, Arkanoid VAUS Controller all rely on D3 and D4. 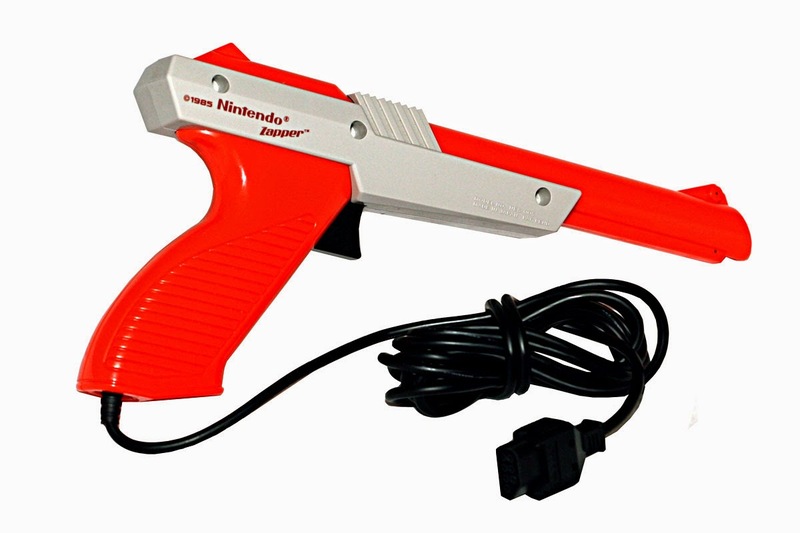 One alternative is to obtain the Famicom equivalent of the Zapper, the Video Shooting Series Light Gun which looks like a western six-shooter : http://famicomworld.com/system/controllers/video-shooting-series-light-gun/ It is nowhere near as common as the Zapper. The Japanese version was never bundled with the console and only supported in five Famicom games, as opposed to fifteen licensed and unlicensed NES games. The Famicom equivalent of the Power Pad is called the Family Trainer Mat and was only released by Bandai in Japan. It supports ten unique games, five of which found their way to the NES. The NES has one exclusive, Short Order / Eggsplode!. 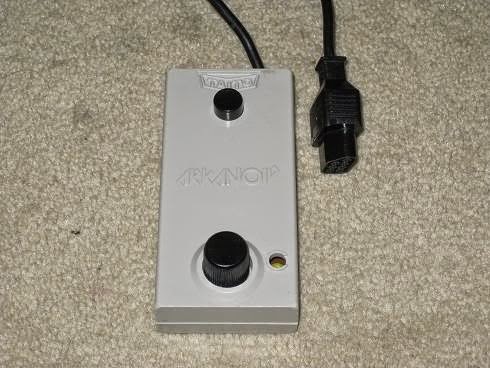 Unfortunately, the Famicom Arkanoid controller will not work with the US version of Arkanoid, and the US version of the Arkanoid controller will not work with the Japanese versions of Arkanoid, Arkanoid 2 or Chase HQ. 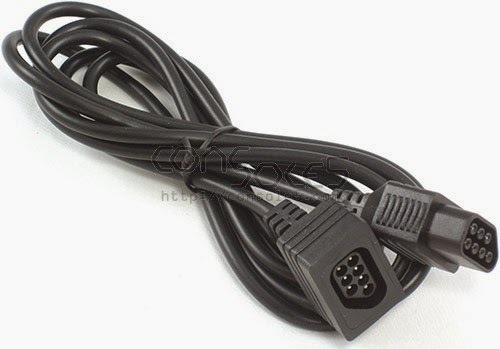 If you want to make sure own adapter, you will need the end of a Famicom expansion port controller or a Neo Geo MVS Controller expansion cable and a NES expansion cable or controller socket. I would strongly suggest a continuity tester to determine what wire connects to which pin. While the Famicom AV comes with a stereo AV cable, if you buy a loose console, you can use any SNES, N64 or Gamecube Composite Stereo or Mono AV cable. The Famicom AV's audio is mono only, both the red and white jack outputs the same signal. No NES or Famicom supports stereo audio. 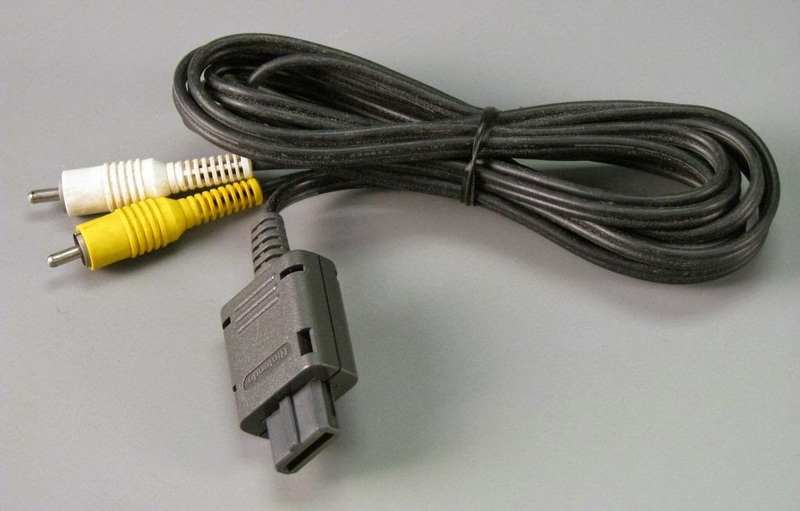 You may need an RCA splitter if you have a mono cable and your TV has stereo inputs. Otherwise you may hear sound only out of one speaker. S-Video and RGB-SCART (only) Nintendo Multi-out cables will show no video, the Famicom AV is composite only. There is no internal RF adapter in the system, but the RF adapter and cable that attach to the Nintendo Multi-AV Out port will also work or you can use an external RF adapter such as from Radio Shack. The best flash cart for either the Famicom or Famicom AV is the Everdrive N8, which has a 60-pin Famicom version. No need to fiddle around with converters as with a NES PowerPak or Everdrive N8 NES version. The Everdrive supports expansion audio, Famicom Disk System images, the common mappers. and several Japanese-only mappers. It also has a battery for saving games to RAM without turning off the cartridge. It does not add nearly to the jailbars in the video output, unlike the PowerPak. This what most, but far from all, Famicom or NES cartridges do. Some NES cartridges (MMC5 games, Gauntlet, Rad Racer 2, After Burner) that do advanced things with the graphics name tables need the pins separate and fail to work when they are not. Additionally, the Everdrive N8 and NES PowerPak need those pins separated. You will have to cut the pins and wire them up to the appropriate pins. This is the best converter I have found. While it needs the mod, it fits well inside a Famicom AV. Castlevania III is the only game on this list to have a licensed PAL release. In addition, the PowerPak and the Everdrive N8 require these pins separate as well. There is also a reproduction NES cartridge of Rocman X by Sachen (which may have originally been a Famicom cart) which requires this mod to run in the converter. More advanced experimental and hobbyist NES boards will require it. There are more Famicom cartridges that use ROM or RAM nametable mapping or require the pins to be separated, including all MMC5 games and all Namco 129/163, Konami VRC6 and Sunsoft-4 games and Napoleon Senki. Any reproduction or pirate NES cartridge of those games will also need the mod as well. 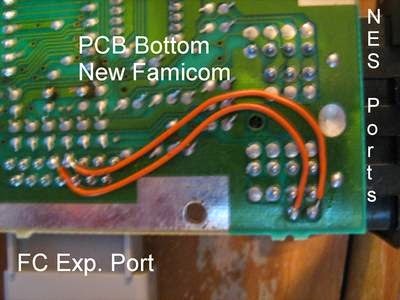 The fix is simple enough, first cut the trace on the Famicom cartridge edge between pins 48 and 49. Next, solder a wire from NES pin 58 to Famicom pin 49. Finally, solder another wire from NES pin 57 to Famicom pin 48. The NES PowerPak and Everdrive N8 NES Edition support expansion audio. They use NES pin 51 to output the expansion audio. Because the NES had no official method of routing expansion audio, the PowerPak decided to use the otherwise unused NES pin 51 and the Everdrive followed suit. Any NES reproduction cartridge of a Famicom game like Gimmck! or Just Breed will also follow suit. 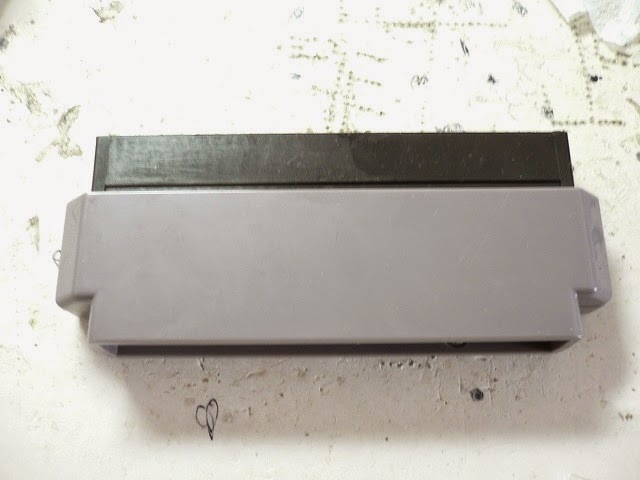 NES pin 51 connects only to the unused expansion connector on the underside of a front loader, and a resistor can connect that pin (pin 3) to the pin (pin 9) with 47K resistor that will mix the cartridge audio with the internal NES audio. Fortunately, the Famicom does not need a mod because it has a pair of pins, 45 and 46, which allow a Famicom cartridge to mix in cartridge based audio. If the cartridge hardware does not support external audio, these pins will be connected together. If it does, then it will separate the pins and mix the internal Famicom audio coming in from pin 45 with the cartridge audio and send the mixed signal to cartridge pin 46. From there it goes directly to the Famicom's RF unit or the Multi AV of the Famicom AV. This mod is really easy, but you will be using 10K resistors to perform the connections. First, cut the bridge between Famicom pins 45 and 46 on the converter. Next, solder a resistor from NES pin 51 to Famicom pin 46. Finally, solder a second resistor from pin 45 to the leg of the resistor nearest the Famicom pin connector. If you find the resulting audio not to your liking, you can use potentiometers instead. I would suggest using a value of less than 10K on the resistor coming from the AV Famicom, as its volume output is slightly lower than the older Famicoms. In most instances, the microphone only has marginal use at best, but there are three or four Japanese games that require using the microphone at some point to progress. An alleged issue is that expansion audio from those cartridges which contain it supposedly drown out the internal audio. Non-AV Famicom with earlier circuit boards have been said to have louder internal audio output, but Famicoms with later circuit boards have quieter internal audio. In my opinion, there is little in the way of solid, concrete evidence to support this. In fact, the audio circuits seem to be the same regardless of Famicom or Famicom AV console used. Additionally, there is no apparent difference in the loudness between the 2A03G used in later Famicoms and the 2A03H used in most Famicom AVs. There is a difference between the 2A03E used in the earlier Famicoms and the late Famicoms, so expansion audio will be a little more punchy with the Famicom AV. However, it is a mistake to believe that expansion audio drowns out internal audio in the Famicom AV. Would it be possible to use a photo of your website (the av cable) to put it in a book ? This is a very interesting guide, and I'm considering using it to make an "ultimate Famicom" solution. I know that the player 2 microphone was only used by a handful of games, but those games include the likes of Zelda and Kid Icarus. It's a quality over quantity sort of thing for me-icus. Could you tell me what it would take to remove a Famicom controller from the original model and outfit it with a NES style controller plug? If the plug was wired properly to the controller, does the Famicom A/V have the right hookups in it's controller port for the microphone output to be properly processed? Thank you. Looks like Nintendo changed the internals too much to allow such a thing without adding new chips. This seems to be the real reason the remodel never even got a controller with a microphone on it. I do wish they'd done something clever like map port 2's start/select button to the "look who's talking now" setup so one could at least "fake" it. Well, change of plans. Making a perfect "does everything" Famicom will most likely require modding an original model Famicom. Hmm, let's see... I'd need to do a composite a/v mod to start with, leading the cables out through the same hole one of the controller cables goes through. I'd need a NES to Famicom adapter, and one that separates the pins you've mentioned. There seem to be a wider selection of such adapters now than when this post was made. 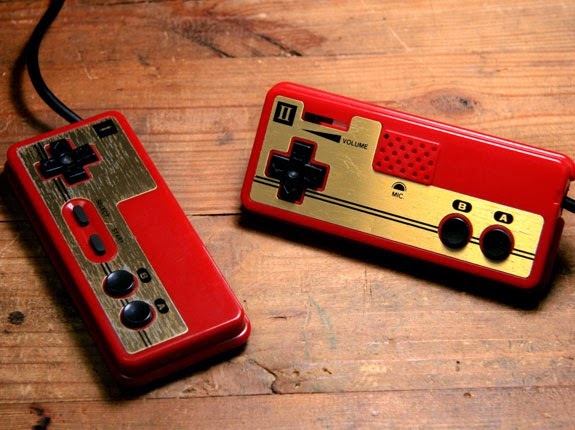 Hmm, I really want to use alternate controllers on the Famicom. How difficult would it be to mod the controller cables leading out from the Famicom to add in NES style jacks? I'm thinking of mapping out everything to match the US style pinouts and using the jack from an NES controller extension cord, leaving it dangling out the back on that cable. I'd take the cable leading from the Famicom controllers and replace it with the cables from some US controllers, but I'd need to make sure controller 2's microphone signal was travelling on the right cable. I'd also need to do the equivalent mod like on the A/V famicom to map the right parts of the "accessory port" to controller 2's input so I could use a US Zapper or whatever. Seems like I've got a rather extensive list here, but it beats what I'd need to do for an A/V Famicom. Any advice on any of that? Your plan is a tall order for sure, but it can be done. You will need some NES extension cables of course. If you remove the hardwired controllers, you can simply solder in the NES extension cables in their place (or put the wires on the connectors from the hardwired controllers. This will allow you to use any standard NES controller. You will need to cut off the male ends of the plugs. Converting the hardwired Famicom controllers into NES-plug controllers is really easy. You can use one of the otherwise unused pins on the plug for the microphone signal. You should use one of those male plugs with a Neo Geo extension cable and wire up a NES to Famicom Expansion Port adapter, which will include the signals necessary for the Zapper and other $4017 D3/D4 peripherals. This is the easiest way to use them with a Famicom. The AV Famicom will still put out a cleaner composite signal than any AV modded Famicom I have ever seen. That's good to know. How would you say a composite modded original Famicom compares to an original model NES's composite? That's basically my benchmark. Judging by the comments on the Famicom World forum, you can probably obtain roughly equivalent composite video quality with a GPM Famicom, properly modded, and a front loader NES. Thanks again! So, the quality ranking would be A/V Famicom, then NES/modded original Famicom, so long as the mod is good. Google translate is a hell of a drug... Is the main issue with the composite quality an interference one, possibly due to the RF signal generated inside the system? I've had an on again/off again interest in the Sharp Twin Famicom. Any knowledge on issues with that system? I am not the biggest fan of the Twin. First of all, its a heavy, expensive beast. Second, using an FDSStick is not nearly as easy because of the custom adapters you need to make. Third, the audio needs to be modded, otherwise it sounds muffled. You may need to look into jailbar remediation with the Twin. Got it. Also, those things are pretty expensive to get these days. I'll stick with my existing plan. I found an interesting guide in english: http://jpx72.detailne.sk/modd_files/fc/avmod.htm which seems to have quality results. So, the AV Famicom does have the same expanded sound as the original Famicom? I want to get one, but I'll also be playing some games that use it. Note that the EDN8 cannot correctly play Fire Emblem, Fire Emblem Gaiden, or Just Breed (or any other non-castlevania III MMC5 game I've tried). The powerpak can usong loopy's mappers. the N8 is definitely NOT the best flash cart until Krikz gets his crap together and fixes it. It's been 8 months since I reported the Fire Emblem bugs, which should be an easy to fix problem with the MMC4 implementation, and he has released a new firmware version (to support the HDMI NES mod), without addressing the issue. MMC5 on the everdrive, meanwhile, is a complete joke. NOTHING works except the bare minimum to support Castlevania III, and yet he claims MMC5 is 'supported'. Try loading Just Breed. Just try it. You will get garbled backgrounds and nothing else. Krikzz has pretty terrible support for someone who charges $120 for a product. There has been a relative lack of MMC5 development for flash carts. Bunnyboy never even got Castlevania 3 working with the PowerPak, loopy did unofficially and its still buggy. Laser Invasion may be playable on the EverDrive, but it is glitchy. The Fire Emblem games are playable despite the border glitch. Hey, could you post pictures of the mods you did on the converter? i think i might be blind but my converter has pin 46 and pin 45 separated, but still no expansion audio. - Enio EXP board for NES. 1) For use these japanese games with NES, I have to install Enio EXP board and have to mod the 60 pins to 72 pins conector? 2) There is a difference between Everdrive 72 and 60 pins? Using my everdrive 72 pins with AV famicom with a 72 pins to 60 pins converter I will get (emulated) expansion audio from everdrive games without modding? 3) I think you already saw or read about high def nes. With one of these boards installed do you think I will be able to get REAL (analog) expansion audio form a japanese cart in both nes and AV Famicom? 2. You will need to mod your 72-to-60 pin converter to get expansion audio out of a 72-pin EverDrive on an AV Famicom. 3. The Hi Def NES emulates internal and expansion audio digitally, but you can still hear analog audio if you don't want the digital emulation. You still need to route the expansion audio as described above. What mod do we need to do on a 6o to 72 pin adapter? Connect pin 46 on the 60-pin side to pin 54 on the 72-pin side. Krikzz's 60 to 72-pin adapter does this automatically. 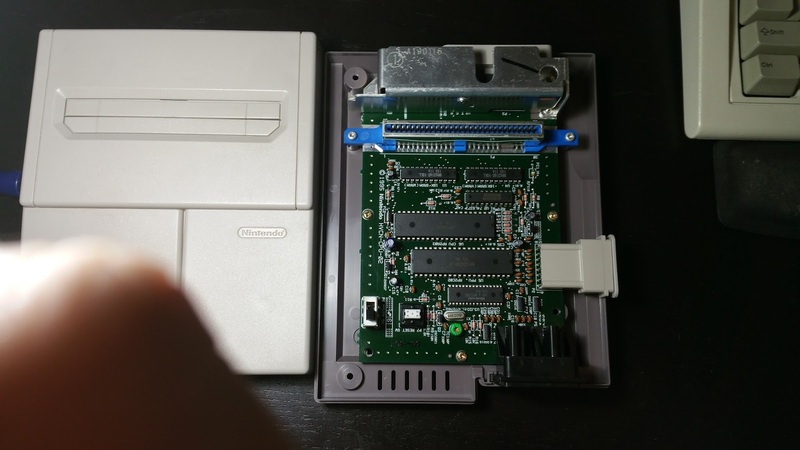 If you have a Top Loader NES, you will need to connect to pin 51 on the 72-pin side or bridge pins 54 and 51 instead. I'll look for the Krikzz's adapter. But and about 72 to 60 pins? What mod I have to do? Any adapter does not have to be modded like Krikzz's 60-72? I've recently purchased the sort of converter you recommend above and made two mods (one for MMC5 compatibility and also adding copper tape to the back and soldering the tape to ground, making sure to avoid getting the tape over the pins). So far, it has worked great with all my official games, including Laser Invasion, Gauntlet, and Castlevania III. It has also handled my Tengen unlicensed games without issue, specifically Afterburner. The only games it appears to be having issues with now are Codemaster games. The two I've just tested are the Dizzy games, one in the deck enhancer. The screen is repeatedly scrolling in a rotating pattern or jittering a bit, almost like the TV vertical needs to be adjusted or something, and the Codemaster logo screen is corrupted. Do you have any ideas on what might be going on here? Do I need to do the audio mod to the converter as well perhaps? In this case, I'm using the system with an older TV (CRT Trinitron) via RF. I just hooked up my NES to that TV and found the codemaster games worked perfectly on that system. I applied some copper tape to the opposite side of the converter to be very thorough (I smoothed it out as best I could by wiping over it with a soft rag as I've seen suggested and wrapped a little bit around to ground it to the tape on the opposite side of the board), but that didn't have much effect over putting it on the back side. One thing to note after watching the video linked to in the thread posted above is that the display bouncing they had looked different, and I noticed the Codemaster logo when the game is booted was appearing just fine for them. In my case, it is missing as though it can't access that data for some reason. Is there any reason to believe I might need to apply the sound mod to the converter after all? Would I have any reason to expect that Codemaster uses the sound lines in some weird way? I can't imagine that would be the case, since the sound lines don't connect to anything on a NES system without modding. I've found out there is a real behavior difference between older Famicoms and any NES which Codemaster oddly depends on. Apparently Codemaster reads from a certain registry that, on older Famicom hardware, can't be read from. I believe my Famicom uses one of those older revisions and thus my plan to make a does everything system has hit a snag. Well, maybe down the line I'll obtain a slightly newer revision, but until then I can still make a few quality of life mods to this one. I've been working on a controller port mod for my Famicom and hit a small snag. I'm trying to find pins on the Famicom board for $4016 (controller 1) D3 & D4. $4017 was no problem thanks to your guide above, but the first controller's version isn't on that expansion port, so I'm forced to look elsewhere on the board. I know I don't need that register just for a standard NES controller, but I want to make sure weird outliers (such as certain 4P "Four Score" enabled games) work correctly with these ports. The NES Fore Score/Satellite does not use D3/D4, it sends a byte of data for player 1 or 2, then a byte of data for player 3 or 4 and finally a signature byte on D1. Four Score/Satellite aware games know what to look for, non Four Score/Satellite games will see unintentional controller inputs, which is why there is a 2/4 button on these units. The only reason you would ever be interested in using $4016 D3/D4 is for a game that allows for a Zapper, Power Pad or Arkanoid Controller to be used on Controller Port 1. The only game where that would possibly be useful is Chiller, which can use two Zappers. If you really want $4016 D3/D4, then you will need to try the mod I suggested here : http://forums.nesdev.com/viewtopic.php?f=9&t=11987&p=175200&hilit=bu3270#p175200 I have not done it myself, so I can't guarantee it works. Looks like someone misinformed me on the four score matter. That's good to know. If I did feel the need to go that far, I might as well go ahead and get an AV Famicom at some point and do it on that, since it seems at that point I've negated the advantages of modding the original system. I'll keep this mod in mind for later, thank you for the idea. The unfortunate fact though is that every time I look at that schematic, my mind locks up. Even knowing what the individual symbols mean, I just can't seem to actually follow anything on there to figure out what is doing what and pointing where, much less map that onto the actual board. I guess I'll have to figure out how to train myself to follow schematic logic better, because it just looks like a mess where everything bleeds into everything else to my eyes. Well, it's been some time but I've gotten better at reading that schematic. I've finally modded my Famicom with the mods I intended, and the end result seems to work well. The jail bars are a bit worse than my NES, but far better than the RF the system was getting before. There's a few oddities. I performed the "80'sFreak" AV mod, so I'm not sure if there's some irregularities there, but when I first started trying my Famicom out afterwards, I had a surprisingly dark image. Odd thing is, it cleared up after a couple of games and never went back. I'm not sure if the system needs to "warm up" or if my TV had to adapt (I understand the AV signal doesn't entirely match the standard modern TVs expect), but it does seem to work now. I pulled the audio from the cartridge slot, so I'm getting everything I need there. The LED was simple enough and works fine, but is a bit brighter than I'd hoped. I might go in and add more resistance to it to dim it a bit. The controller mod is the biggest issue right now. The two Famicom controllers are wired correctly, as I've tested them with my NES (and tested the microphone using it's distinct audio jack I added to the mix). However, I think I got the pins wrong on the other end where the receiving port wires up to the Famicom. The buttons are "off", it's getting audible noise from me pressing "A", and the act of plugging in the microphone seems to trigger an A button press. I had assumed the colors on the wires matched their function on the board's controller 1 wiring, but now I think those colors are different for controller 2, which means every wire is "off" by one if I'm reading the schematic correctly. At least that's a pretty easy fix compared to everything that could have gone wrong. Turns out I made the wrong assumption that the wire coloring was the same from controller 1 to controller 2 on the Famicom. It isn't. After that, and cleaning the contacts on the NES plug I used, I now have a fully functional set of external NES controller ports. The microphone on Famicom controller 2 is acting very wonky right now, and it's my last hurdle. The wiring inside the Famicom is no longer the issue, and I know the buttons at least are working right, so that leaves me wondering if I've got the polarity reversed on the jack I wired up. I'll be checking that next. is there a guide on how to use the microphone with the Famicom av? i've seen a few comments about that and would like to know as well. I've finally jumped that last hurdle. After someone sent me a schematic for controller 2 on the Famicom, I was eventually able to narrow down the issue to how I wired the jack I have coming out of the controller. Now it's working exactly as it should, and the only step that's left for me is to get the NES controller ports in some sort of enclosure. Hand-held gaming mods : Success and FAILURE!